How do you keep news of dozens more A&Es closures off the front pages? Government announcements to 'tackle health tourism’ squeezed drastic new A&E closures off the front pages yesterday – showing there’s no dead cat as useful as a foreign dead cat. Image: One in 6 A&E departments face closure, it emerged yesterday. It’s a trick perfected by Donald Trump, and one which his new soul sister, Theresa May, seems only too happy to embrace with open arms. Turn the heat away from your domestic policy flaws by ramping it up on migrants instead. For Downing Street’s spin doctors, just like the White House's, any old dead cat will do, it seems, but none works quite as well a foreign one. The latest example of the brazenness with which May is willing to play the immigrant card is the placing of this week’s story about banning NHS treatments from non-British nationals who cannot afford to pay up front for them. Jeremy Hunt adroitly ensured that so-called ‘health tourists’ would once again dominate the front pages by announcing that, as from April this year, hospitals will be required by law to deny non-emergency treatments to those patients unable to prove they are entitled to free care. Right on cue, the right wing press obliged. “NHS tourists made to pay” screamed the front page of the Express, with the Times and the Sun following suit. How very convenient. The story so neatly wiped off the front pages was the devastating news that one in six of England’s Accident and Emergency departments are set to be closed or downgraded over the next four years – a catastrophic blow to the NHS and a direct consequence of the government’s decision to impose £22 billion of cuts during this parliament. 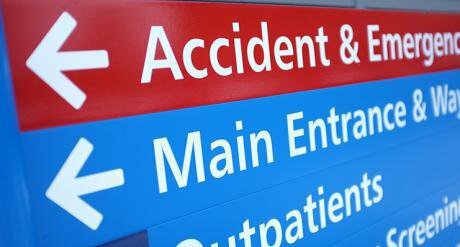 In the context of the current NHS winter crisis – with patients being treated in corridors, offices, store cupboards and even hospital gyms – the planned cuts to A&E care make a travesty of Hunt’s ostensible commitment to patient safety. With patients already dying on trolleys in corridors, slashing A&E capacity yet further beggars belief. Hunt has form on using immigrants to divert attention away from the consequences of his party’s political choice to underfund the NHS. At the Conservative party conference last year, his laudable commitment to increasing the number of UK medical school places was overshadowed by his sop to the UKIP contingent, a promise thereby to make Britain “self-sufficient” in medics. “Let's replace foreign doctors with homegrown talent in Post-Brexit Britain” enthused the Mail on Sunday in their headline interview with the Health Secretary that week. The irony that there are tens of thousands of EU doctors and nurses keeping our NHS afloat and, without them, the health service would be unsustainable, appeared lost on the Mail. The fact is, if saving NHS money were really its main agenda, the government would focus not on the soft target of ‘health tourists’ – who cost at the most 0.3% of the overall health budget - but on other, more pressing issues such as the punitive repayments under the private finance initiative (PFI) that are leaching billions of pounds from frontline care and threatening to bankrupt some hospitals. And they would come clean on the start-up and ongoing costs of introducing NHS-wide bedside chip-and-pin machines through which staff will be expected to collect credit card payments before treatments can proceed. Clearly there is covert agenda at play here, and probably several. Whipping up a furore over those nasty, good-for-nothing foreigners is a cynical smokescreen – straight out of the Trump school of media management - to mask the deliberate fiscal downgrading of the NHS year-on-year since 2010. Every second we spend debating ‘health tourists’ conveniently obscures this fundamental truth. And one has to wonder at the true motives behind the apparently uncosted – yet no doubt costly – roll out of point-of-care credit card scanners across the NHS nationally. A maximum revenue stream of 0.3% of the NHS budget (likely considerably less) hardly seems to make the investment worthwhile, which begs the obvious question, who will be tapped next for charges, once the new cash-collection infrastructure is embedded? The obese? Those who smoke? The alcoholics? Or any of the other ‘less-deserving’ folk perceived of as having brought their ill-health upon themselves? Clinicians today have discovered that if our patients cannot pay, we will be expected to have “sensible discussions” in which we urge them to have their procedures or treatments back in their home country. But doctors chose to practice medicine neither to raise taxes nor to police Britain’s borders. We have one duty, which is to act in our patients’ best interests, irrespective of country of birth. I have no problem agreeing that a tiny minority of NHS patients are perhaps, one way or another, seeking to milk the system, be they born in the UK or elsewhere. But a government, more than any of us, should show the moral leadership of rising above the demonisation of immigrants, knowing full well how eagerly the xenophobic elements of the national press will lap up their lead. This policy risks inciting further animosity towards non-British nationals, while simultaneously rendering some of the most vulnerable and powerless individuals in British society potentially too fearful of the repercussions to present, when ill, to hospital. Is that really what Theresa May stands for? She may, but every NHS doctor I know does not. We treat everyone in need without judgement or prejudice. And the prospect of a less tolerant, less inclusive NHS is a loss for the country writ large.